The developers of a 200-unit apartment complex coming to a former school property in Deer Park will get a $21 million — or almost 50 percent — tax cut to build the new facility. The Babylon Industrial Development Agency, a public authority that grants tax breaks to projects with industrial uses or workforce housing and that create or retain jobs, voted unanimously Wednesday to grant developer Engel Burman’s request to pay $22 million in property taxes over 30 years, instead of the $43 million the developed property would yield. 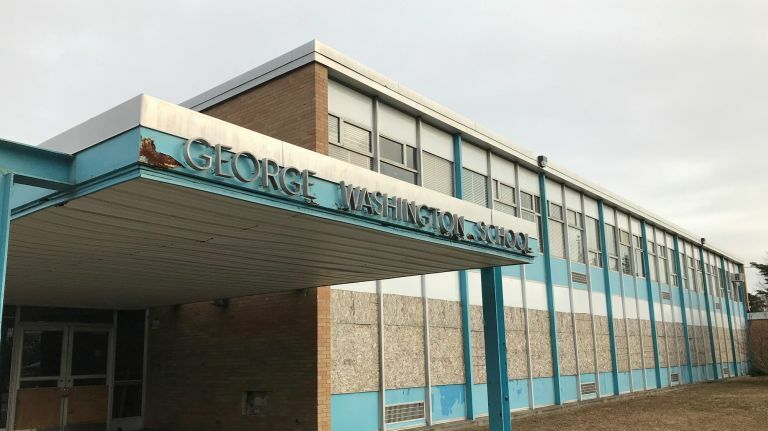 Engel Burman is purchasing the shuttered George Washington School property from the Deer Park School District and plans to demolish the old building and turn it into a retirement housing community. District voters passed a referendum in 2014 to sell the property, which ceased being an elementary school about 24 years earlier. It then housed a day care program and youth community center until June 2015. About $30 million will be spent to construct 14 buildings to house the two-bedroom apartments, a recreational building and a building to be used for school district offices on the 10-acre parcel. The developer will also build a single-family house on Bowling Lane to sell, and will add 350 parking spots for the senior residents. Engel Burman will also pay for a new traffic light at the intersection of Bay Shore Road and Skidmore’s Road and a new playground at the corner of Skidmore's Road and Tiber Avenue. The developer has all necessary town approvals and is waiting for final county approvals. Chris Kent of Farrell Fritz, the developer’s attorney, said the school district was looking to close by May or June. Construction is expected to take two years and employ 75 full-time workers. Four full-time jobs will be created for management of the buildings. IDA members referred to the shuttered school Wednesday as an “eyesore,” the same word residents have used in speaking about the abandoned property.